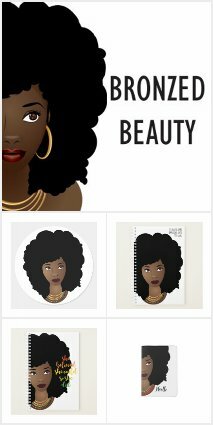 Recently I’ve started to reinvest some time into my Zazzle shop and so far so good. Here’s one of my latest collections — Blonde Afro, Popping Pink Gum. Check out my BRONZED BEAUTY Collection for more products with this design.